Our Card Shoppe offers a variety of high–quality greeting cards that are a pleasure to receive. And, the beauty of the images aside, one of the reasons these cards are so charming is that they are not mass produced. 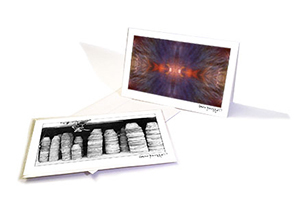 At present, there are a limited quantity of note cards which reproduce selected images from our impressionistic Print Collections. 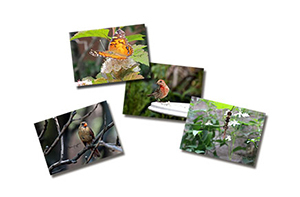 We are also offering postcards featuring images from Patricia’s first e–book, Words In Our Beak. Both series are perfect for remembering friends and family on any ocassion. To begin shopping, click . . .
. . . here for the Impressionist Prints Note Cards collection.
. . . here for the collection of Words In Our Beak Postcards. Thank you for visiting our Storefront. For specific inquiries about any item in our Card Shoppe, please click the envelope below or HERE to send us an email.